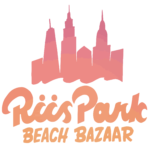 Riis Park Beach Bazaar reinvigorates the historic art deco buildings of Jacob Riis National Park by bringing food, music, drinks and vendors to the historic boardwalk. RPBB offers beach chairs, umbrellas, and some recreational equipment rentals for those looking to travel light when heading to the beach. All rentals are available on a first-come, first-serve basis but are also available for purchase at Boarders, the locally-owned sundries shop. Be sure to look at our “What’s Up” posts and social media (Instagram & Facebook) for updates on all the latest, including added events, special features and weather-related changes to our daily hours of operation. We love to hear from our fellow beach bums. Contact us at info@rpbeachbazaar.com with questions & comments. Special thanks to our Gateway National Park host, the National Park Service, who endeavor to enrich thier parks’ natural beauty with educational moments and cultural relevance for the communities and visitors they service. A large diverse urban park spanning two states, Gateway combines recreational activities with natural beauty, wildlife preservation, military history and more Visitors can hike, picnic, swim, sunbathe, bike, visit the oldest lighthouse in the nation, see an airplane collection and camp overnight, all in the New York metropolitan area. Find out more at www.facebook.com/Gatewaynps. Open at 11am 7 days a week! Subscribe to our mailing list for upcoming events!